GeoS4S Workshop in Chiang Mai, Thailand! A week-long international faculty development workshop focussing on 'Module Structure and Syllabi Design' for Geospatial education at post-graduate levels was organised at the Department of Geography, Chiang Mai University, Thailand from February 21st to 24th, 2016. The workshop marks a significant milestone along the activities planned within the 'GeoServices-4-Sustainability (GeoS4S)' project co-funded by the European Commission under the Erasmus+ programme. The project is coordinated by the Interfaculty Department of Geoinformatics - Z_GIS, University of Salzburg, Austria, the consortium including 9 more partner universities from Europe (3), China (3 and Thailand (3). One major objective of the 'GeoS4S' project is to develop teaching/learning resources for 20 case study based innovative modules, with each partner institution responsible for developing two modules. All partners had prepared draft syllabi of their respective modules according to the agreed structure. The draft syllabi were presented to all workshop participants for critical evaluation and intensive discussion of further improvements. Attendees participated in training on structuring of modules to meet international standards, as well as incorporating pedagogic elements supporting the delivery in-classroom and through online distance education. The workshop concluded to the satisfaction of participants, who re-affirned their commitment to the project activities leading towards achieving our common overall objectives! 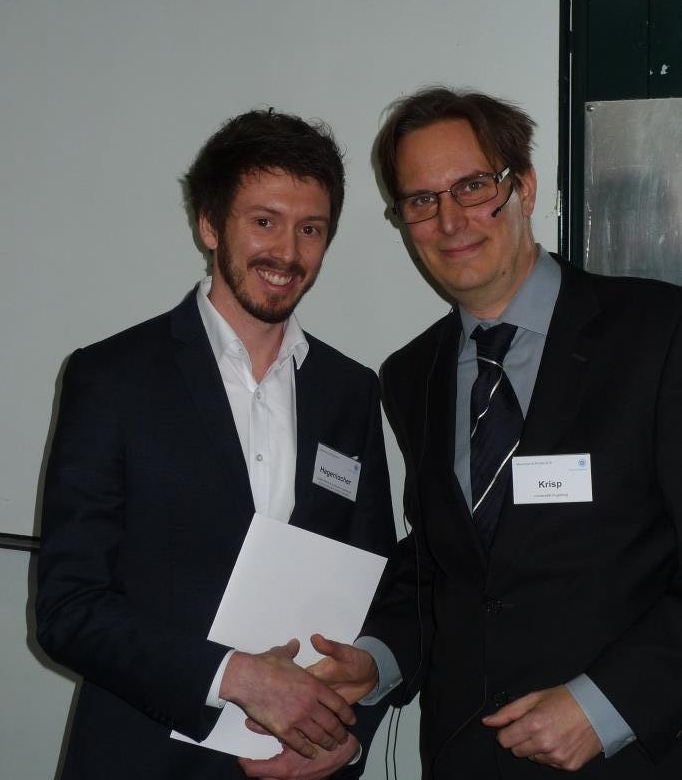 Doctoral college graduate Michael Hagenlocher is the winner of this year´s "Förderpreis Geoinformatik" in the PhD category, which is awarded annually at the 'Münchner GI-Runde' conference to honour outstanding research in GIScience. 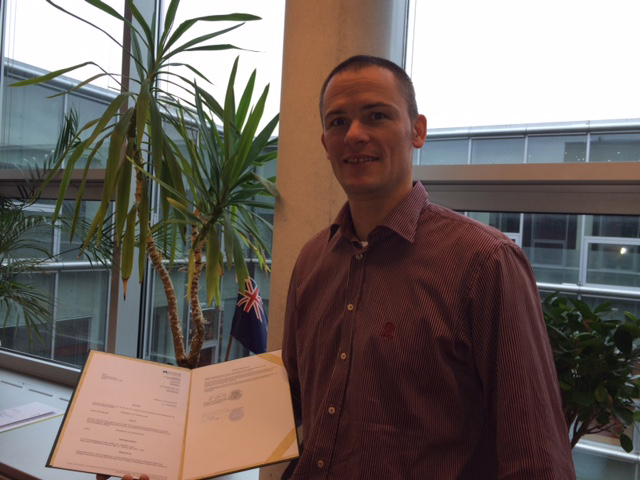 Michael is continuing a tradition of several earlier awardees from the University of Salzburg´s Z_GIS. Congratulations! Michael has successfully defended his thesis on 'Integrated spatial indicators for modeling, exploring and visualizing vulnerability to vector-borne diseases' in December 2014, focusing on malaria and dengue fever in South America and Eastern Africa. In his research Michael developed concepts and methods for the spatial assessment of social vulnerability and risk in the context of vector-borne diseases, including web-based tools for the interactive visualization of both hotspots and underlying drivers of risk and vulnerability that can support spatially targeted interventions. Since July 2015 Michael is a Research Associate at the United Nations University - Institute for Environment and Human Security (UNU-EHS) in Bonn, Germany. 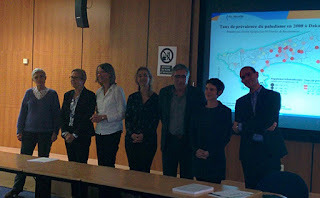 Z_GIS researcher Marion Borderon defended her PhD thesis at Aix Marseille University, France, with the highest distinction mention très honorable avec les félicitations du jury à l'humanité. 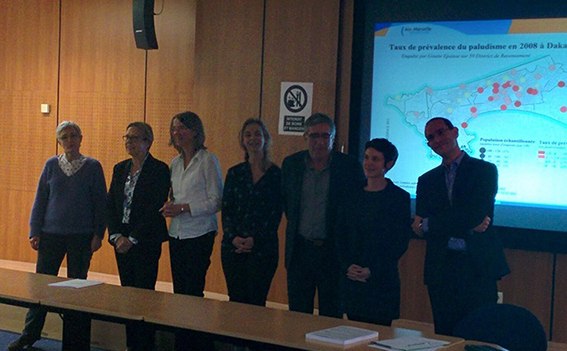 After three hours of presentation and questions to the attention of six members of the jury and a broad audience, Marion was appointed Doctor of Geography. Her thesis is entitled "Between spatial distance and social distance: the risk of malaria infection in African urban areas. The case study of Dakar, Senegal." In her research, Marion has applied an Exploratory Spatial Data Analysis (ESDA) approach to study the complex phenomenon of malaria infection in Dakar. ESDA, still rarely applied in developing countries, is thus defined as a research approach, but also as a way to provide answers to global health challenges. ESDA leads to observation from different angles, on the determinants of malaria infection as well as the examination of existing interactions between its three components - the parasite, the vector and the human host. Using some statistical and geostatistical analyses, including both bi- and multivariate statistics, Marion´s research has revealed unprecedented images of the risk of infection in Dakar. It can be used as a basis for some other case studies, including sensitive contexts and limited data environments. Congratulations to Marion and all the best for her future career! Peter Ranacher, Z_GIS Doctoral College graduate, is the winner of this year´s Science Slam Salzburg. 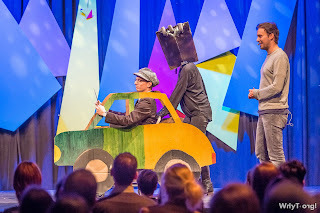 The presentation of his research project "The rhythm of the street" convinced the audience. 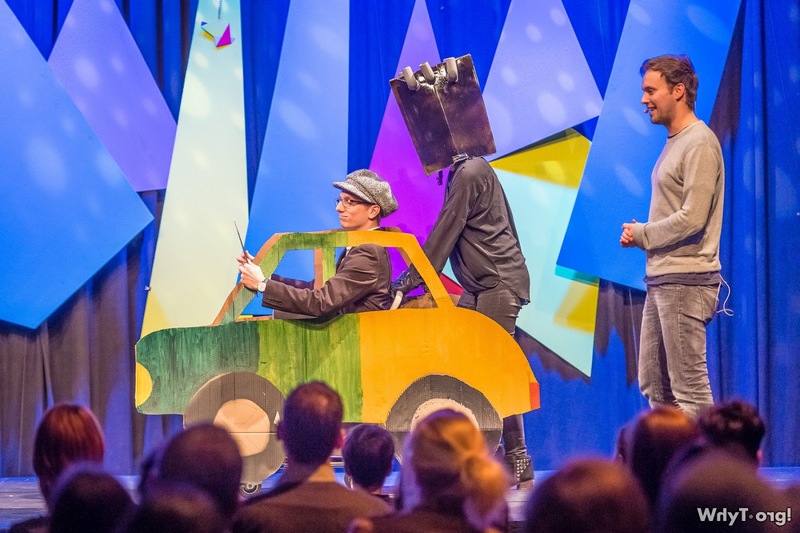 Congratulations to Peter and his team - Helena Bergstedt, Andreas Petutschnig and Jakob Miksch. Hermann Klug was promoted to Associate Professor with tenure recently. He is the first professor of this kind at the Interfaculty Department of Geoinformatics - Z_GIS. His habilitation on 'Automated Geosynthesis', finished in September 2015, is a comprehensive and multi-functional approach to environmental monitoring using tailor-made information delivery to stakeholders, local farmers and the general public. Educated as a geographer and landscape ecologist at the University of Hannover, Hermann started his career at Z_GIS in 2001. First employed in the SPIN project (Spatial Indicators for European Nature Conservation) funded in the 5th EU Framework Programme, he finished his PhD in the domains Landscape Ecology and Geoinformatics in 2006. Hermann managed to set up the Z_GIS Landscape Lab, which is closely linked to the SMART aquifer project funded by the New Zealand Government. After his sabbatical in Auckland and Taupo (New Zealand) in 2013 he returned on an assistant professorship in 2014 and now successfully completed this key academic career step.